We were bad Newlyweds. Very, very bad! Why, you might ask? We ate the top of our cake… 11 months early. The tradition is that you save (by freezing) the top of your wedding cake, so that you can have a slice of it together on your 1 year Wedding Anniversary. When Mr. Knight and I got home from our honeymoon, we couldn’t wait to dig into our Wedding cake. At our Wedding we barely got to eat any of it’s deliciousness, so we were eager to finally get our slice of ‘tropical carrot cake’ heaven. Plus, we were given advice from our baker to eat the cake now, not later, as the whole freezing process is no bueno for the cake. Here I am, examining the cake and thinking about how yummy it is. I’m wearing my new shirt from Paia, Maui store Alice in Hulaland (super cute shop in hippie town). Cutting the cake a 2nd time. We already had plates ready to eat up the scrumptiousness we were expecting. Our Consensus: Don’t wait to eat your cake, because after freezing the cake, it will taste nasty whether it was frozen for a year or 1 month. We were pretty depressed at the lack of yumminess. We vow to order a small cake from the same baker in our beloved ‘tropical carrot cake’ on our 1 year anniversary (in 11 months). I placed the icky 1 month old cake back in our fridge, as Mr. Knight swore he would ‘snack’ on it over the course of the week. He didn’t touch it once. So in the trash it went, along with a tear or two. 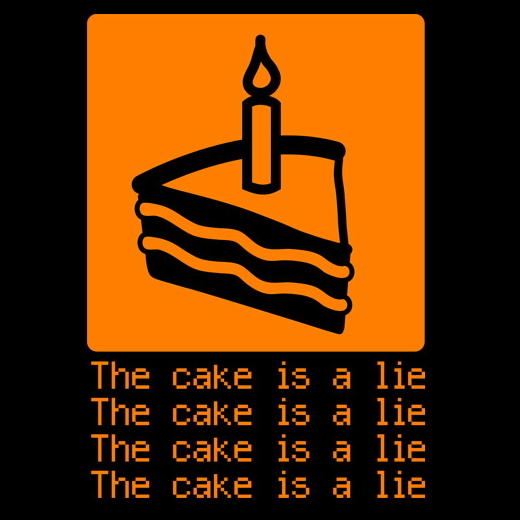 Do you all plan to wait a year to devour your cake? Or are you planning to eat it when you return from your honeymoon? Our wedding cake baker was AWESOME and told us to eat our top PRONTO and that we would have a totally free, that’s right – FREE – freshly made anniversary cake when we’re ready for it. So we dug into ours post honeymoon (ours was still yummy). Total bummer if you don’t get a free anniversary cake, but I seriously recommend just ordering one fresh if you have to a year later. No one likes a year old frozen cake! I like the idea of ordering a fresh one, too. We ate ours at one year and it was not yummy. Maybe even every anniversary. Especially cakes like red velvet and carrot don’t keep well anyway. Click picture if you don’t get the joke. You may even then not get it—that’s okay. We are coming up on our 1 year anniversary in 9 days and I have been looking forward to reuniting with our cake for the ENTIRE YEAR! So much so that I recently mentioned it in one of my posts on my “married life” blog, The Better Half. :) I have heard mixed reviews from friends about whether or not the cakes were edible at the 1 year mark, and overall it seems that the consensus is thumbs down which makes me a little sad. Hope you & your hubby enjoy your FRESH cake on your 1 year! We are doing cupcakes in three different flavors. We are not leaving for our honeymoon until two weeks after the wedding, so we are having our baker set aside 2 of each flavor for us to eat the week after the wedding.